It’s winter here and that means cold temps, bitter winds and being bombarded with hot dry forced air everywhere you go. It takes a toll on your nails. I like to wear nail polish to help protect my nails and give them a little help to prevent breakage from the extremes of winter. But what about when I want to change my color? That’s where Cutex comes in. They have designed nail polish removers that are prefect for various lifestyles and help to protect and nourish your nails. The Advanced Revival Nail Polish Remover Pads are perfect for those on the go. These individually wrapped nail polish remover pads come in handy. For the mom on the go you can keep a few in your diaper bag. Or if you travel these are TSA approved and can be packed in your carry on. Each pad contains acetone and natural botanical nourishing oils from apricot seed, flax seed and perilla plant. 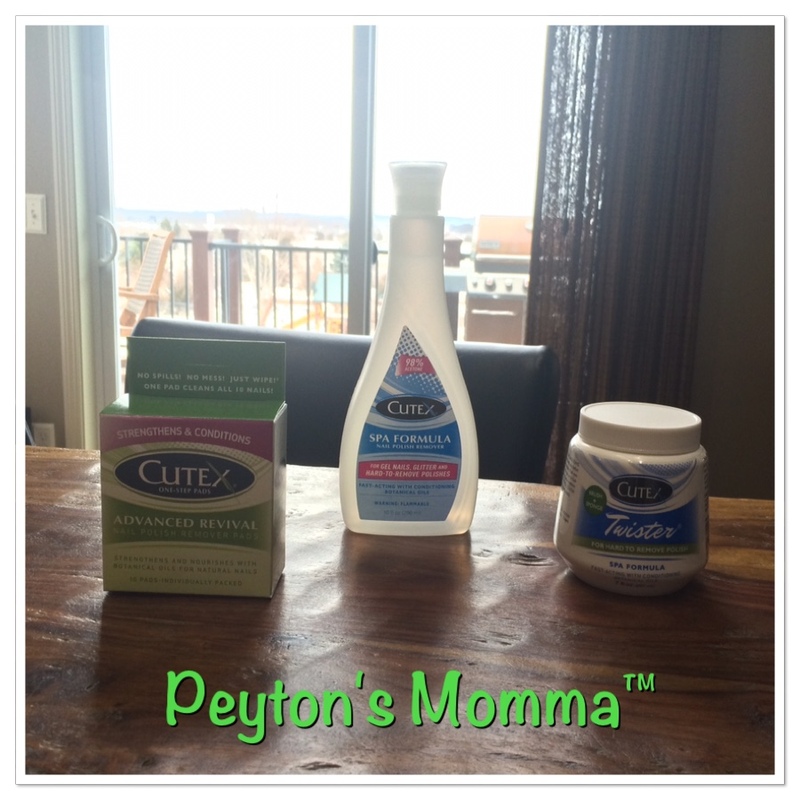 All these work together to condition and nourish your nails while removing your nail polish. It only takes one pad to remove the polish for all your fingers or toes! If you are using it on your little one you can probably use one pad for their toes and fingers. So it’s been a crazy week, you’re exhausted but your nail polish is looking a little shabby. It’s time to take it off and let your nail beds breath a little. Use the SPA Formula Nail Polish Remover to quickly remove any type of nail polish – gel, Shellac and even glitter polish. Even though the SPA formula nail polish remover is tough on polish it will not damage or dry out your nail beds. Don’t want to mess with cotton squares and a bottle of polish remover? I hear ya. I have cats and a small child that does not make a good combination for bottles full of liquid. 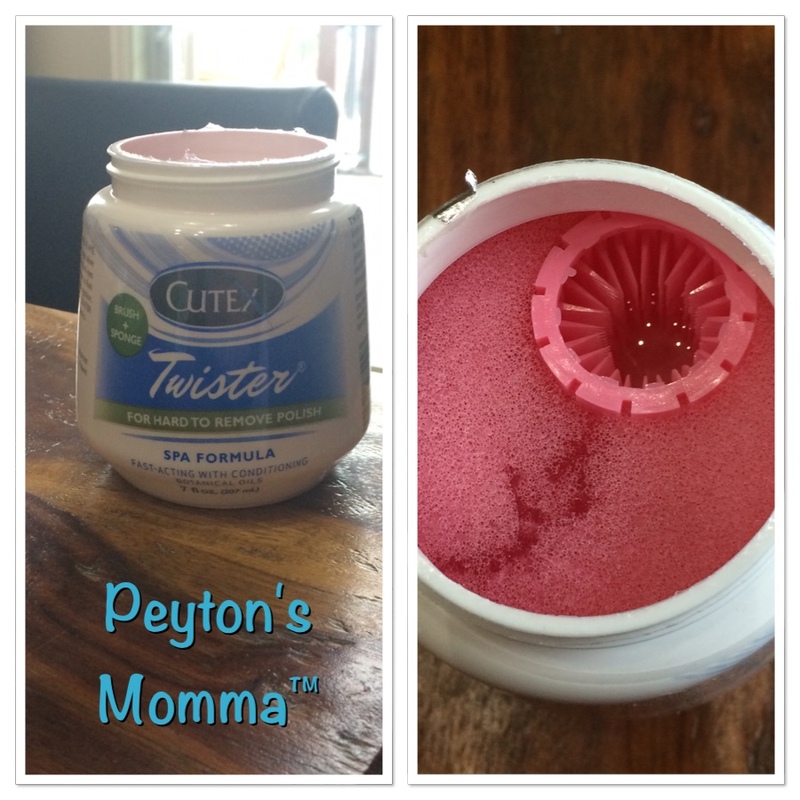 The Cutex Twister with SPA Formula is perfect for moms with little ones or for those who want an all in one. Simply dip your polished finger in the jar, twist and done. Clean nails! This is great for hard to remove polish and you can do this without the worry of spilling a bottle. 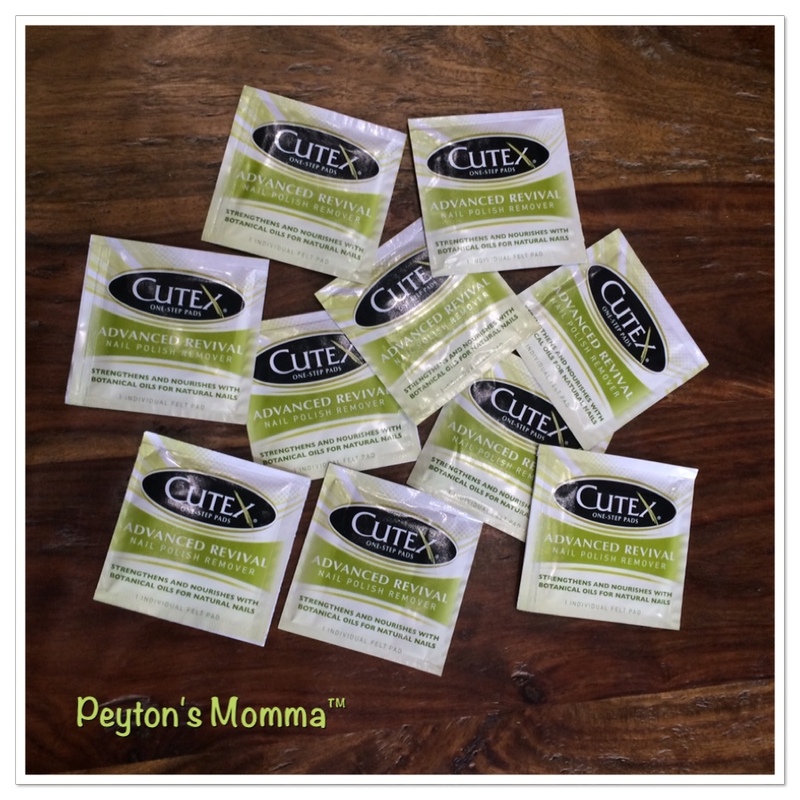 Cutex SPA Formula nail polish remover products are available at Target, Kmart, RiteAid and grocery stores nationwide.